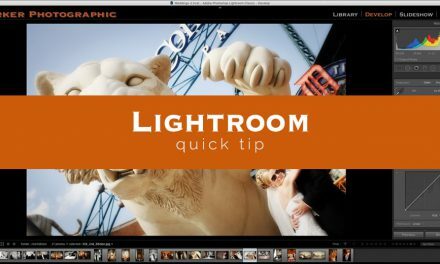 In the last Lightroom quick tip, you learned how to quickly and easily fix lens distortion. You also learned that it can be applied during import to further streamline your editing workflow. 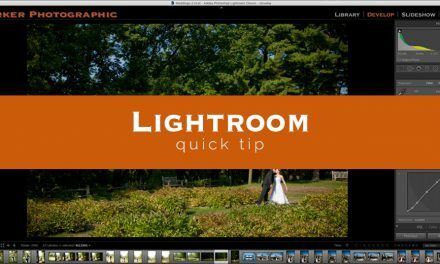 In this tutorial, I’m going to show you how to create that Lightroom Develop Preset AND apply it during import. Are you excited? I know I am. I love letting Lightroom do (some things) for me automatically. It definitely speeds up my workflow. Let me show you how you can apply this during import, to speed up your workflow too. Step 1: Open the Lens Correction panel and turn on “Enable Profile Corrections”. Step 4, saves the edits you applied, to the right panel, as part of your Develop Preset. Step 2: Go to the panel labeled “Apply During Import” (in the right panel) and click on the drop-down menu next to “Develop Settings”. Step 3: Select the preset you just created and click “import”. Your new Develop Preset will now be applied to ALL photos during import! How cool is that? I love it!